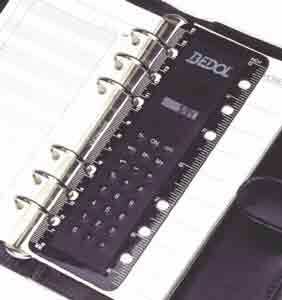 Super Thin Calculator ruler fits personal sized Filofax organizers. 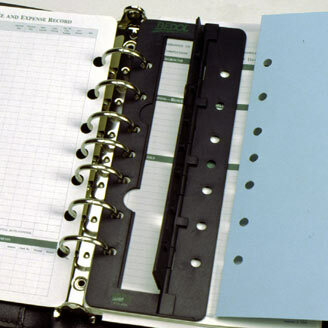 Convenient to have with you clipped into your organizer at all times. Almost as thin as a page of paper. That's why we call the calculator "Thin-Line". Slightly larger then 6 inches, fits DayRunner, DayTimer, Franklin-Covey as well as Filofax brand organziers personal size with 6 rings.